What do Facebook ad campaigns have in common with the Snuggie? They’re both almost too good to be true! A strong Facebook ad campaign can help you achieve results that surpass your expectations. But, in order to be sure you’re reaching the best outcome possible, you need to pay close attention to your Facebook engagement metrics. These Facebook KPI’s – or key performance indicators – will show you a range of data that explains just how successful each aspect of your Facebook ad campaign is. Determining which Facebook performance metrics to use will depend on how you want to measure success. It’s essential that you understand how and when to use this information while advertising on Facebook. 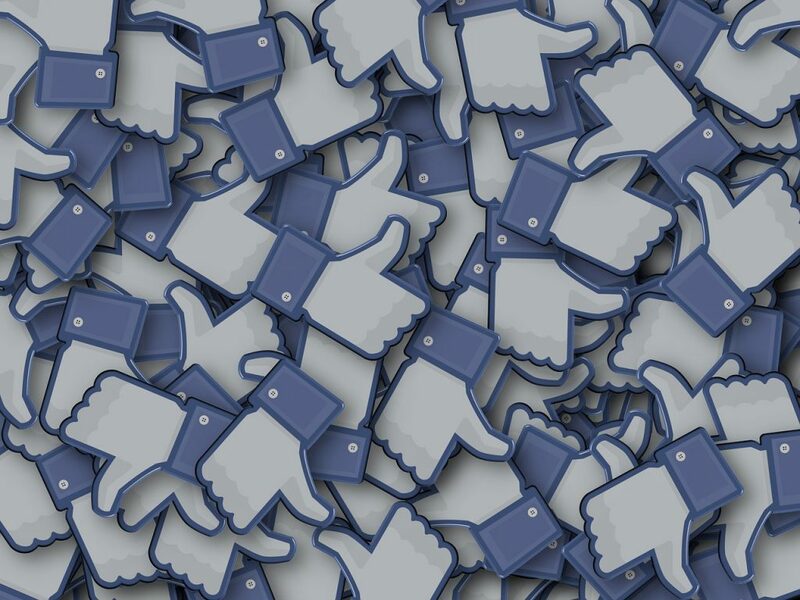 We’ve asked one of our account managers, Rocio Urena, to explain how to choose the right Facebook metrics for your next campaign. She’s also giving us the expert insight into why these KPI’s are so important when launching your Facebook marketing campaign. Before publishing a Facebook ad campaign, you need to install a Facebook pixel on your website. The pixel tool keeps track of customer behavior and the actions they take on your site. It will help you reach the right audiences, increase sales, and understand how well your ads are performing. A standard event lets you track and optimize for select activities that can be performed throughout your webpage. When used in conjunction with the Facebook pixel, you’ll be able to collect highly specific data on customer behaviors. With the information the pixel gathers, you can see which actions your audience takes most on your site. For example, let’s say your Facebook performance metrics indicate you’re getting a high number of add-to-carts. You can optimize your ads for that goal by including more CTAs throughout the landing page, or by prospecting customers with similar habits. Once you have enough conversions, you’ll be able to gain further insights on different areas of your campaign. One thing Facebook Ads Manager excels at is making data easier to understand. Ads Manager has many unique features that will help you focus in on the Facebook performance metrics that matter the most to your business. Brand outcomes are important to any campaign, no matter what the goal. Let’s say you launch an ad for dog food featuring a Corgi. It would be great if every time someone saw a corgi on the street, they thought of your product, right? Facebook helps you measure brand outcome by focusing on how your branded campaigns are impacting and influencing users. These tools will help you understand whether you ads were memorable, if they enticed viewers to convert, and if they successfully shifted brand perception. To measure the brand outcomes of your Facebook marketing strategy, you should focus on the Estimated Ad Recall Lift (EARL) metric. Relative attention: How much time people spent looking at your ads compared to other content in their news feed. Reach: the number of people you reached with your ads. Historical ad recall: Data from more than 300 Nielsen Brand studies that show the correlation of attention and reach to ad recall. Estimated Ad Recall Lift will help you determine whether your Facebook ad campaign is engaging enough. If you launch your Facebook ad campaign in the Newsfeeds of 1,000 users and only 100 remember seeing it, that’s how you know some adjustments need to be made. You might think about incorporating bolder imagery in eye-catching colors. Similarly, attention-grabbing copy is important. Make efforts to emphasize the value customers will receive by clicking on your ad. Measuring brand-related KPIs such as brand awareness and ad recall of your campaigns are important. In fact, they’re often more insightful than Facebook engagement metrics such as likes and clicks. Brand polling is a tool that allows you to see how the Facebook ad campaign you’re running is resonating with your audience. That way, you have another means of checking your campaign effectiveness. Brand polling is useful for gathering information before your campaign launches. Prior to it going live, people in your target audience are randomly assigned to either a test or control group. Users in the control group will not see your ads. Polls are then delivered throughout your campaign to both groups, any time between four and 48 hours after exposure. Facebook users can simply choose an option from a survey that appears in their newsfeed. This gives the platform and advertisers valuable information on how successful branded efforts are. Through Facebook brand lift, you can measure the ‘lift’ in ad recall between the two groups. If there’s no noticeable difference in the recall between those who did see your ad and those who remained unexposed, it’s a clear sign that your ads are failing to make an impact on your audiences. In this case, make changes! Facebook ads reporting allows advertisers to see how many online and offline conversions resulted from your ads. This includes information from more than just your Facebook ad campaigns; it provides data for Instagram, Messenger, and Audience Network efforts as well. A conversion occurs when a person takes an action that is valuable to your business. Examples range from a purchase to the installation of your mobile app or viewing of a specific page of your website. Measure the actions people take online after they see or engage with your ads. You’ll first need to implement the Facebook Pixel on your website and/or Facebook SDK in your mobile app. Without installing these features, you won’t be able to see the conversion data in ads reporting. You can also measure the impact of your social media ad campaigns beyond the keyboard. If you have physical retail stores, be sure to measure the number of transactions that occur within their walls. Once your ad campaigns go live, pay attention to other offline channels – like phone and call centers. This way, you can see how many people have seen or engaged with your ads. Offline conversions allow you to connect your sales data – such as CRM or point of sale software – to Facebook to measure which audience and campaigns are driving sales. Doing so will help your gain a better understanding of how offline and online customers match up, especially if you’re able to get a customers email address. For example, you can email a customer receipt to the same account that’s linked with their Facebook. This way, you can expose them to future ads, and determine if that influences purchasing decisions. You can also use customer information to target them with ads based on offline purchases. This encourages them to continue visiting your stores. After the campaign starts delivering, you’ll need to upload your transaction data through Business Manager or integrate it directly with Facebook using the Offline Conversions API. Thanks to your data, Facebook is able to match transactions that occurred offline with their own data on who viewed your ads. This gives you a complete picture of the customer journey and the performance of your campaign. Over 90% of retail sales happen in brick-and-mortar stores, meaning that offline conversions still account for a major part of your overall sales. Creating a strong omni-channel experience for shoppers means that you’ll really be able to see the impact your ads are having on customers. While there are many Facebook engagement metrics to choose from, there are some that are more used than others. Purchases is one of those. CPA, or Cost Per Result or Acquisition, is also popular. The total return on ad spend (ROAS) is also widely used. This number shows you how much revenue you earn from website purchases. ROAS is based on the value of all conversions recorded by the Facebook pixel on your website and attributed to your ads. The metric is calculated as website purchases conversion value divided by total amount spent. Therefore, the higher the number, the better your campaign. For example, a 5:1 ratio means that for every $1 you spend, you’re earning $5 in return. Rocio has always recommended that you build a traffic campaign that’s optimized for landing page views rather than general traffic. You may be wondering, “What’s the difference? They both have to do with clicks, right? But it is important to distinguish between these two, as they can show you very different results. A ‘Landing Page View’ is when a person lands on your ad’s destination URL or landing page after clicking a link in your ad. When your objective is set to “Traffic” and you optimize for ‘clicks,’ Facebook shows your ad to those people most likely to follow the ad and click off Facebook. It’s important to have your Facebook pixel set up, as this is how Facebook tracks this data. Link clicks indicate that someone pressed a link in your advertisement. This metric can be relatively unhelpful, as it doesn’t show how many users followed through and actually spent time viewing your landing page. Choosing to focus on landing page views is helpful if you’re looking to get higher quality traffic directed to your site from ads. That’s not the only benefit. With landing page views, you’ll also have more insight into whether your site is taking too long to load. This can tell you if you need to improve your overall site speed. Another client focuses on Purchases and ROAS. The standard benchmark ROAS is 4:1, but this client prefers their number to be above 4. With some careful consideration and preparation, you’ll be ready to create your best Facebook ads ever. By thinking about what your goals are before you create your campaign, you’ll be able to ensure that you reach success.